The statement sounds more convincing when you look at the people who have started from the bottom and reached the heights, relying on their own merit and perseverance. We are talking about the entrepreneurs who have defied all the odds and made their separate identity in today's world. There are so many things to learn from these successful people. They have done so many great things that most of us could not even imagine. It is difficult to match their excellence in just one day, but we can certainly learn about the habits that make them so special. To achieve something great in life, you need to take risks. Nobody has ever done anything worth remembering by playing safe. Gates, Jobs, Bezos – everyone is a risk taker. It is their bold attitude that separates them from the others. It is not that they have always succeeded. Failure is a part of the deal, but that never stopped them from making a tough choice in their career. We might not have experienced the brilliance of Apple devices if Jobs and his team had never tried to do something out of the ordinary. "Early to bed and early to rise, makes a person healthy and wise" – and what better example there can be than the early birds who have stunned the whole world with their success. The childhood lesson, which you have ignored for long, is one of the most effective habits the successful people swear by. It will be a mistake if you consider the habit of early rising to be a waste of energy. Most of the successful entrepreneurs in today’s world follow this routine which involves some physical activity that helps them warm themselves up for the rest of the day. To be successful in life, you need to get your priorities straight. That’s a trait that you get to see among successful people. They put their work before everything. You don’t become one of Fortune’s 500 most influential people for nothing. All the entrepreneurs, who lead their respective markets, acknowledge the value of time and always find a way to get the job done before the deadline arrives. But that does not make them anti-social. Even with all the work, they do make time to socialize. This is one of the few things that make them exceptional. You may have heard that a leader is as good as his team. To some extent, it’s true. An idea is effective only when it’s executed properly. And that’s not possible without a team. However, you cannot achieve great things if the people around you always let you down. If you look at the successful entrepreneurs, you’ll see that most of them have a team of efficient individuals who not only execute the idea pitched by the entrepreneur himself/herself but also gives inputs of their own to add more value to the plan/operation. Opportunity does not knock your door twice. And in some cases, it takes forever for the opportunity to knock the door. Successful people don’t wait for such opportunities; they create them. May sound a bit cheesy, but that’s how they roll their dices. People may have told you to wait for the right time to make a move, but did you notice that while you were waiting, someone else has made the same move and won the prize you were aiming for? Well, no time will ever be perfect. To become successful, you need to cease the moment and make the most of it. Sticking to the rules may not always fetch you success. Sometimes, you need to improvise to make things work. 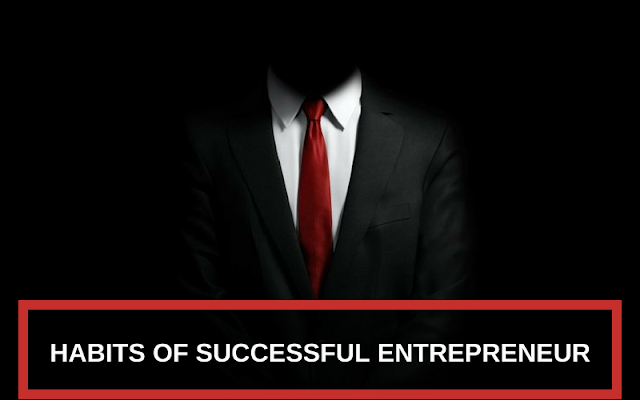 You can learn that from the successful entrepreneurs. They don’t stop trying if a plan doesn’t work. They evaluate the situation and act accordingly. If you aren't flexible with your plan, the chances are it will take years to succeed. In today’s dynamic world where the requirements are changing rapidly, you need to make quick decisions and improvise if the situation does not go as planned. While you spend your free time scrolling down your news feed on the social media websites, successful people, including entrepreneurs, utilize whatever free time they get in reading self-improvement materials. As you may already know, maintaining your success is harder than achieving it. Entrepreneurs know that they cannot learn everything from school, college or even internet. Reading the right kind of material is one of the most effective ways to improve one’s knowledge and hone the skills. It is curiosity that compels the entrepreneurs to think outside the box, and interestingly, it is one of the most effective tools that allow them to improve themselves. If you look at the great scientists of all time, you’ll see it their inquisitiveness that led to the invention/discovery of so many great things. Entrepreneurs are no different than scientists. They also ask a lot of questions to their staff, to the clients and even to themselves to learn how things can be conducted in a better fashion. As an individual, you can adapt that practice. One of the major reasons behind the accomplishment of today’s successful entrepreneurs is that they follow their passion. Money was never really the primary objective. They started out to pursue what they are passionate about, and success just followed them like a shadow. Money certainly plays a crucial role in today’s competitive world, and it is often judged as the parameter of success, but that's not the case. Achieving success may be a lot harder than you think if money is the only motivation you have. Most of the successful entrepreneurs, who are admired by millions of people, lead a minimalist lifestyle. Not sure if anyone had ever seen Steve Jobs in an Armani suit. Most of the time he wore his iconic turtleneck with a pair of jeans, and we are talking about one of the most successful entrepreneurs of all-time. This kind of people makes you look at yourself and think, how insignificant all those extravagancies are. Keeping the humility intact, even after achieving success and fame, is something that we all can learn from these personalities. 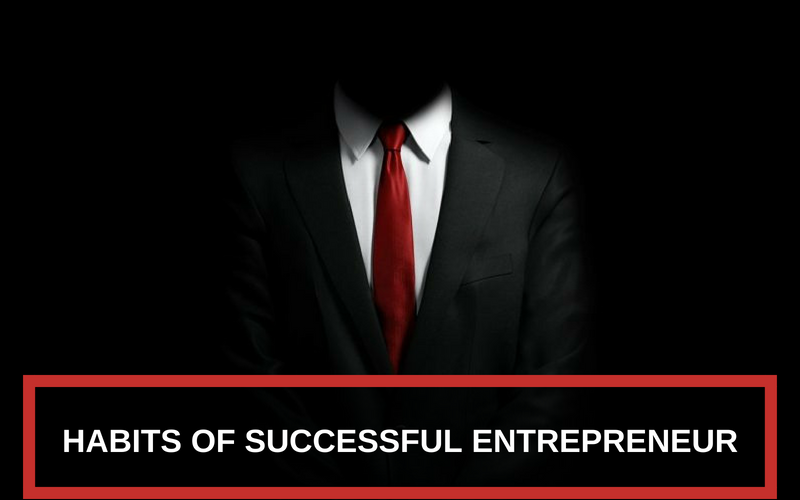 Perhaps you don't share the charisma or the passion that these successful entrepreneurs have. But you can certainly incorporate some of their habits that will not only improve your lifestyle but also help you become a better individual. They say, habits make the character, and if that is true, you have all the reasons to inculcate these effective habits that successful entrepreneurs display. Dissertation writing is very must for research students their success is depends on dissertation writing.Students assignment help experts give help with dissertation writing to students. This is where you might have started your search for assignment help. The previous consumers give their feedback on the website to let the other users know about the quality of their service. For example, if you go to the All Assignment help reviews, you can get to know the opinion of different users about their services. You can also check other websites to compare and select the best service for you. If you want to score well and achieve your targeted marks, you can get help from us. We have highly qualified experts who can help you to solve your assignment problem. They have been worked in this industry for more than 10 years. Also, they charged very less from students. Write assignment Samples with professional writers. Contact us today to avail up to 20% Discount. Ordering for the first time? It’s your lucky day, apple decision making offers up to 30% off on your first order. Our experts are working on all over the world and still now they solve 1000+ assignments.